. 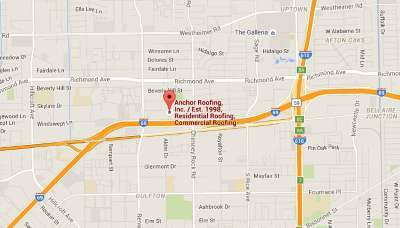 Houston Building Code Compliance | Anchor Roofing, Inc.
Building code compliancy is being enforced now more than ever. Understanding building codes, pulling permits on all jobs in the City of Houston, and completing contracting, and your project, and having the associated project number finalized can assure your investment is safe, will perform as intended, and cannot be “Red Tagged”. Red Tags are placed on buildings by The City of Houston Department of Public Works and Engineering – Code Enforcement. Red Tags that are not taken care of in time can result in loss of Occupancy Certification, and even having your water or power disconnected. Real Estate investors typically while conducting due dilligence for a potential purchase often have the buildings they are looking to buy thoroughly inspected by an inspector fluent in building codes. Every component of a building that isn’t up to Code can be used as a valid reason for price reduction as they know that they will have to bring the building up to Code and the associated cost to bring said building up to Code is a reason for discounting the price for the building. Making sure your building is Code Compliant will protect your buildings value. These potential problems can easily be avoided by following building code protocol.